1. The India Authentic series seems to be a relatively straight re-telling of stock myths and stories – can we imagine this as a modern Amar Chitra Katha, the comics which were intended to teach Indian schoolchildren about their cultural heritage? Well, I grew up reading Amar Chitra Katha and of course the tales were one of the sources of inspiration on my part in creating the India Authentic stories. That being said there are major differences more in terms of intended audience and the mode of storytelling between the two. India Authentic is an all-ages title targeted at a broad international audience and as such assumes no contextual familiarity with the tales upon the part of the reader. Deepak Chopra provides an introduction to each story which serves as the thematic entry point for the reader laying down context and archetypical relevance to the modern world. Also India Authentic tales usually focus on an iconic slice in the larger tale which sort of embodies the theme represented by a particular character rather than trying to compress stories that span volumes of epics into 22 pages. 2. So how exactly do you approach the narration of these myths which have been told and re-told so many times? As I say, I try to identify a theme that a particular mythological character embodies and build my story around that. I would like to think that my contribution to this is sort of an inner monologue that puts the reader inside the head of the lead character. In mythological stories we are used mostly to a bird’s eye view of the larger narrative, whereas I have attempted to tell the tales via the eyes of the characters themselves. 3. 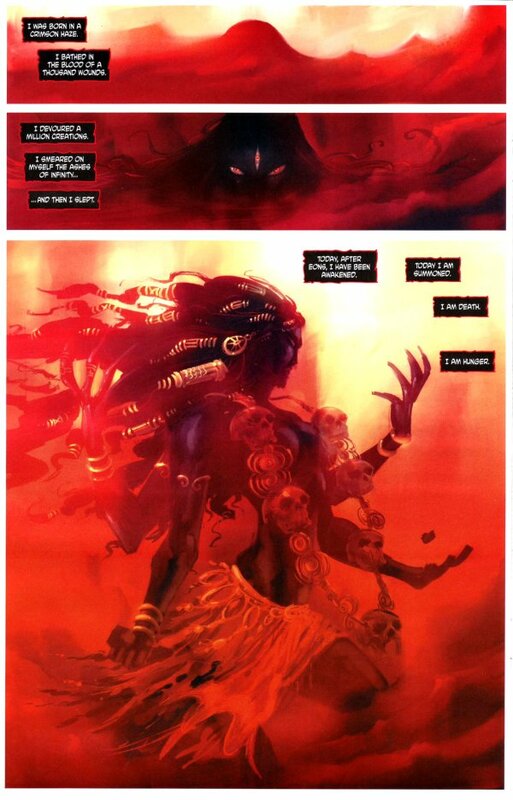 Can you talk a little bit about the Virgin Comics’ India Authentic and Shakti imprints? What was the concept behind this tie up between Virgin and Deepak Chopra? I can only answer this question as it relates to me and the titles I write, since I work on a freelance capacity with Virgin. As for the corporate/full creative aspects of this someone from Virgin Comics corporate team can answer this better. Deepak Chopra is one of the three chief visionaries of Virgin Comics and the Shakti titles which focus on comics / graphic novels inspired by not only Indian mythology and heritage , but by India in general (both past, present and future). For example, India Authentic deals with myths and legends from ancient India where as Devi tells a story of a young woman in contemporary India who is the reincarnation of an ancient warrior goddess. 4. With Devi an ancient story has been retold in, and intertwined with, a thoroughly modern setting – why was this approach chosen? 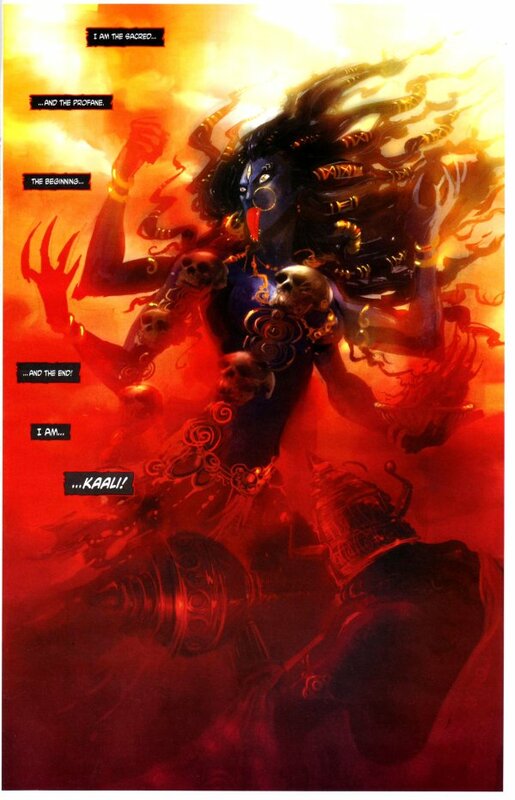 Devi was created by Sekhar Kapur and I took on writing duties after 10 issues had been done. As far as I am concerned, the approach taken in Devi sums up the enigma that is India, where one can’t but help traverse the space between past, present and future in a small physical space. Think of a typical scene in an Indian metropolis, you see hip young crowds with their fancy cellphones and fashion accessories coexisting with classical architecture and religions thousands of years old. 5. The popularity of manga worldwide suggests that culturally-specific graphic novels/comics can be universally accepted. Do you think that these re-imaginings of Indian mythical and literary figures will (or have already?) become popular outside India and the Indian diaspora? Of course, a good story has a built-in ability to traverse cultural boundaries. There is a brief learning curve so to speak, in terms of conventions and context, but in the end the power of story prevails. The most pleasant of my experiences has been my correspondence from people of different age groups, ethnicity and walks of life who felt a resonance with India Authentic. These range from casual comic book readers to people in academia to indophiles in general. So it reinforced my belief in the fact that the so called cultural divide can be bridged by a tale well told. 6. So far Virgin has chosen very well-known stories for its series – like the Ramayana and Panchatantra for instance. Is there any other material from the corpus of Sanskrit literature that you plan to/would like to try to represent in a graphic novel? Let’s see. I’d love to do a series in India Authentic in the future adapting the classics of Sanskrit literature like Mricchakatikam, Mudra Rakshasa and Kalidas’s epics etc. Both the India Authentic series and Devi are available online from the Virgin Comic store or in selected bookshops.